Here in the west, our seemingly indomitable open spaces are influenced by a great variety of elements - natural, industrial, societal, biological, meteorological and cultural. It's the energized line of intersection that I find compelling; where wild touches domestic, where nature meets agriculture meets industry. It’s the human impact on environment and the environment’s impact on that which is human. 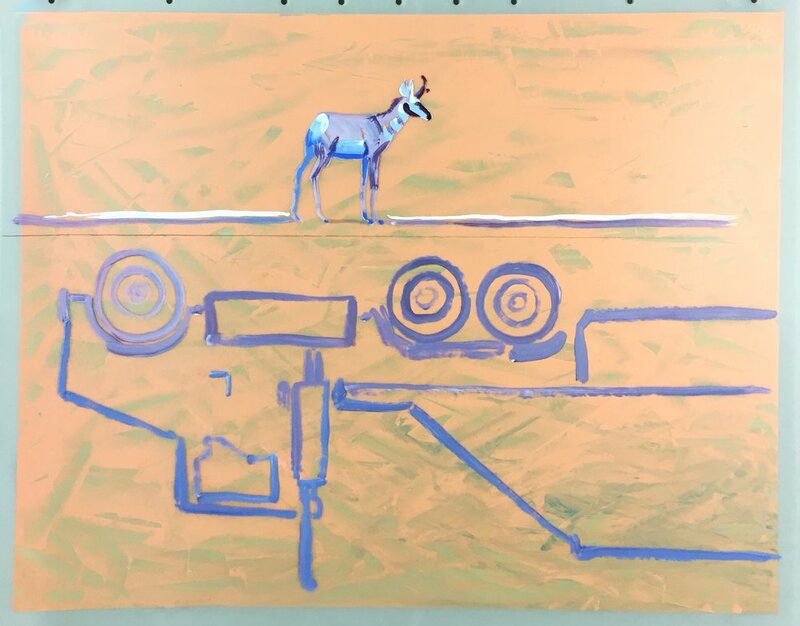 This work looks at the relationship between humans and wildlife as it pertains to moving over the earth’s surface - in particular, migrations routes of animals, highway systems of people and the intersections of the two. Approximately 12" x 13" x 7"